2017 was an incredible year for the African geekosphere especially with comics. Old players like Comic Republic, Vortex Comics and the Comexposed community entrenched themselves as African comic book powerhouses with releases pretty much every month, back to back. Let’s not also forget new and returning players/creators such as Kugali, Juni Ba, Setor Fiadzigbey, Mad Comics, Elupe, Avandu and Mongolia Studios who’ve expanded on the infinite possibilities of what an African comic can be. Perhaps the most inspiring and exciting development for the African geekosphere is the many niche events that happened across the continent. From NAICCON (Kenya), Lagos Comic Con (Nigeria), Nerd Con (Ghana), Comic Book Day (Zimbabwe) to Digi Art Fest (Uganda), African geeks have safer and more inclusive spaces to be themselves and further explore their passions. Below is a calendar of all the African geek events to look out for in 2018. Updates will be included as and when they’re announced. In the meantime, keep these in mind. Locations: Angola, Egypt, Ethiopia, Gabon, Ghana, Kenya, Madagascar, Morroco, Nigeria, South Africa, Togo, Tunisia, Uganda and Zambia. 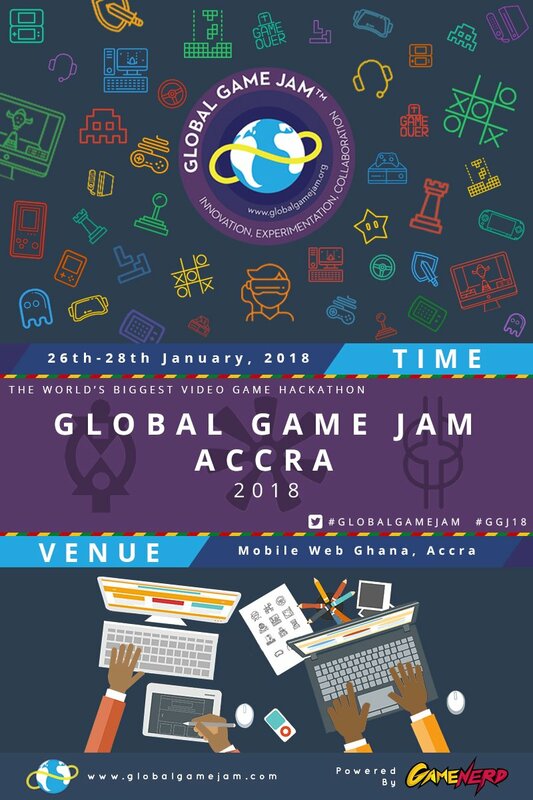 The Global Game Jam is a gathering of people across different industries (but primarily gaming) for the purpose of planning, designing, and creating one or more games within a short span of time, usually ranging between 24 and 72 hours. It’s happening in several locations across 14 African countries. If you’ve got game dev chops or just want to experience what building a game from scratch is like, definitely register at a jam site near you. Also, if you want to catch us at the jam, we’ll most likely be at the Game Nerd jam site (image above). Location: Landmark Event Centre, Oniru, Victoria Island, Lagos. Comic Connect: Let’s Talk is a panel session that will explore the Comic Book and Animation Industry in Nigeria, ways to generate revenue from a Global Audience, how to harness art skills in Nigeria, how to improve skills and aid ease of publishing . This session will also explore tools that can be used to drive great quality art out of Africa. Comic Connect: Let’s Talk is part of Nigeria’s Social Media Week. The panel includes Ibrahim Ganiyu (June XII), Niyi Akinmolayan (Anthill Studios), Jide Martin (Comic Republic), Tokini Peterside (Art X Lagos), Ahdora Mbelu-Dania and Olusola Amusan. Attendance is free but you’ve got to register to attend! 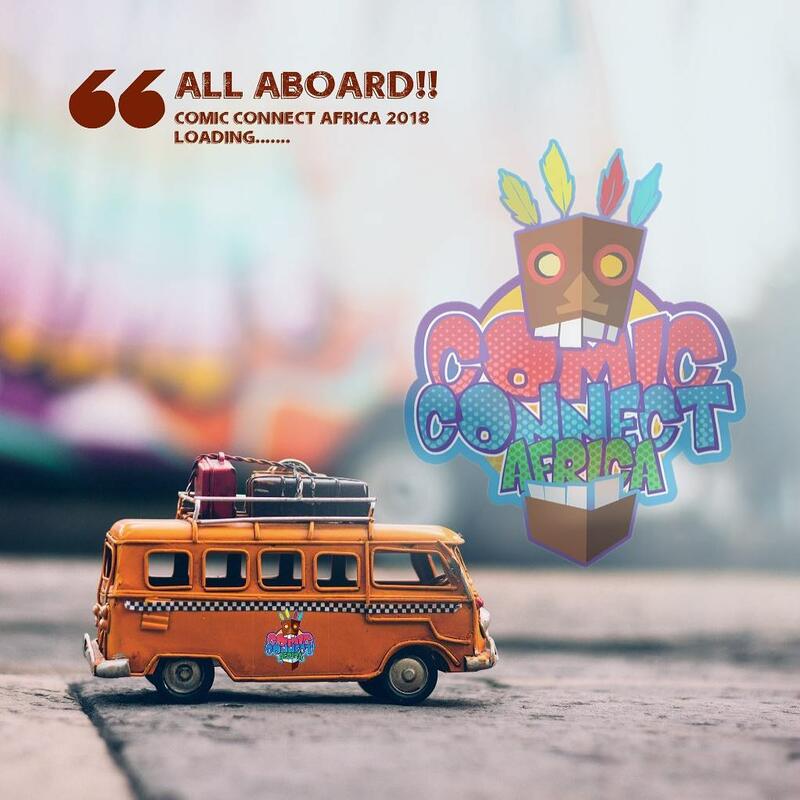 Register for Comic Connect Africa here. The Accra Animation Film Festival is a week-long international animation film festival as well as a platform for animators across Africa to connect with international animators, exchange ideas and find new production partners and investors. We’re proud to announce that we’re helping bring this baby into the world. This is a festival we so eagerly anticipate. The Nairobi Comic Con is Kenya’s primary geek event and brings together geeks and nerds from all over to bask in the awesomeness of both local and international content. NAICCON got a lot of international press last year and we’re excited to see how it gets the momentum rolling in 2018 as well. 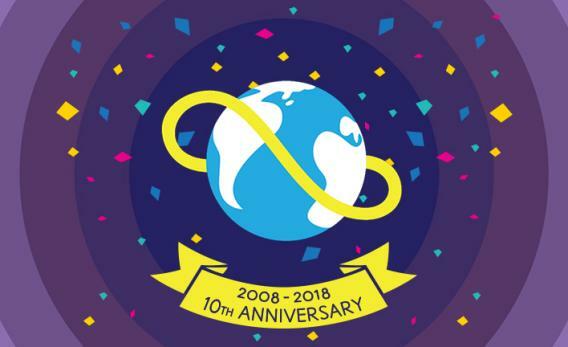 Nerd Con is Ghana’s premier geek event that creates an enabling space for people to connect with local and international content in animation, gaming, programming, comics and music, even Korean Pop. This year will mark 3 years since the inception of what is essentially Paul Ziem (Game Nerd / Nerdcore Studios)’s baby. Location: Landmark Event Centre, Lekki, Lagos, Nigeria. The Lagos Comic Con is an annual geek event and possibly the biggest in Africa organized by Mustardseed Communication International. This year marks the event’s 7th Anniversary and we expect it to attract about 6000 guests come September. Pa Gya is a literary festival and not your typical run of the mill geek event. It’s on this list because it’s the only other event in Ghana that facilitates the distribution of African comics. We did it for our young industry at Pa Gya last year and are giddy with excitement to repeat that this year. Definitely, keep this on your calendar. Comexposed is essentially Zimbabwe’s comic book convention. The Zimbabwean Comic Book Convention brings together comic book creators, animators, publishers and artists from Zimbabwe and the region to one spot to share their work, love and appreciation of comic books with the public, corporates and investors in attendance. Comexposed is also the name of the organizers who shoulder Zimbabwe’s animation and comic making industry and geek culture. The Electronic and Video Game Festival of Abidjan (FEJA) launched in November last year and we’re looking forward to it again this year. The festival brought together thousands of gaming enthusiasts from all over Africa, around the theme: video games in Africa, it is possible. We’ve done very little in our coverage on African comics, games and animation, so this really makes us happy. DiGiArt is a collaborative initiative between Uganda’s geek community that was launched with the main objective of uplifting the creative industry in that country. The event was a smashing success that attracted a lot of creatives and this year promises to be even bigger based on all the positive feedback. According to Pyler of Tribe Toonz, “creatives ought to understand the business language this is how we are going to grow as an industry, it’s not easy but there is always a start”. These are a few of the events happening across the continent to look out for. We will update this list as and when we have more information or find new geek events happening.